Take the measures can be rather complicated for those who never did. 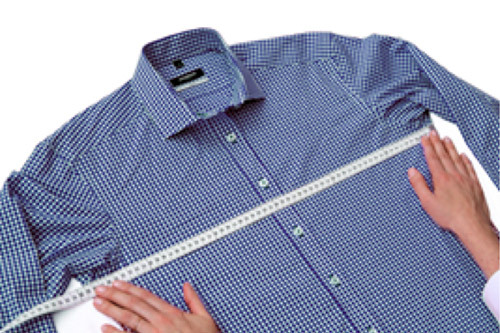 Follow our tips to get your new shirt without errors. Take a shirt wearing which you already feel comfortable in the different movements of each day. Button up all the buttons of the shirt, carefully roll it out on a table or any flat surface, use a tailor’s meter or any measuring instrument sufficiently precise and follow the steps that we propose to you. Open the collar of the shirt, spread it and measure from the button until the middle of the button-hole from the other side. 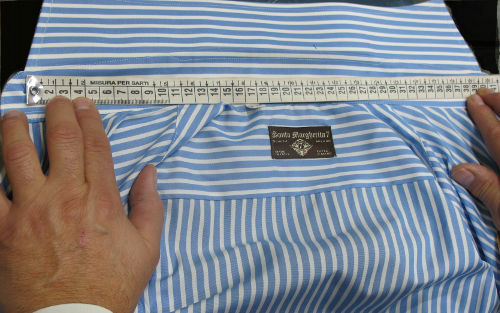 Turn the shirt on the rear side and measure the distance between the seam of a sleeve and the other. 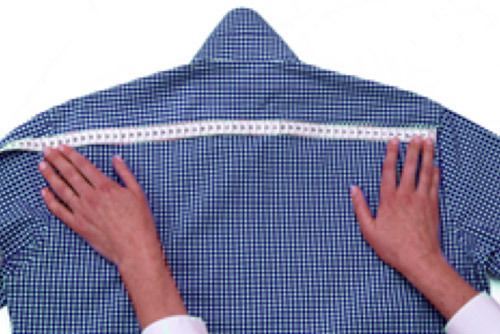 Extend well the shirt while buttoned, taking care that there are no folds on the back and measure the distance between the points immediately below the two sleeves. 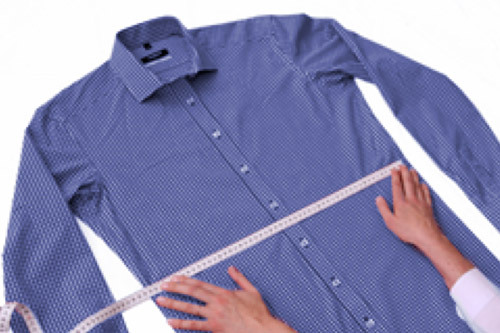 Measure horizontally the shirt at the tightest point. Turn the shirt on the back and take the distance between the seam of the neck up to the lower edge of the shirt. Measure all the sleeve, from the sewing to the edge of the cuff. 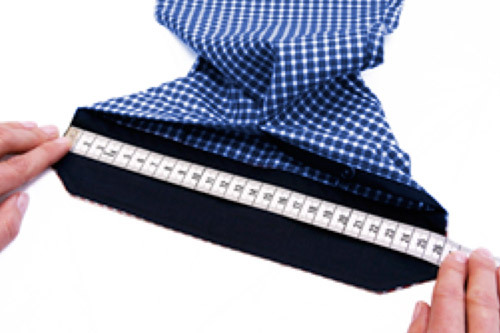 Unbutton completely the cuff, open it and measure it horizontally from one edge to the other. 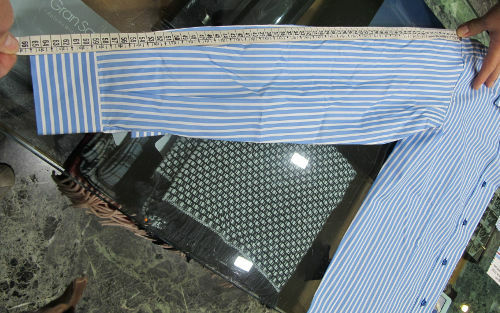 Now you have done and so in a few days, we will be able to create your fully customized, perfect fit, bespoke shirts. Please note that our bespoke shirts are handmade, refined with class, designed, cut, packed in our craft laboratory near Milan, exclusively for the exigent clients of Santa Margherita 7 with the maximum care and precision possible. We are sure that with this explanation and the video tutorial provided you will be perfectly able to take your own measures, but fill absolutely free to contact us if you have any doubt regard the process of taking measures and we will be happy to provide you all our support that you may need.